There’s a coup happening in your bathroom, led by dozens of electric beauty gadgets just begging to turn you into Charlize Theron. And in an age where we use our phones to fetch a cab and turn living rooms into massage parlors and exercise classes, it’s not surprising. The technology takeover of the beauty industry is in full effect and there are just so many at-home devices. But how do they work? And which ones are worth trying? We’re particularly interested in at-home LED acne treatments, and which devices provide the best zap for your cash. We already know we love the Baby Quasar Red Light for anti-aging: if NASA is using it it’s good enough for us. But what about blue light for acne? First, it’s important to have realistic expectations. At-home devices can’t be as strong as those operated by dermatologists, because if they were, you could do more harm than good. So in order to make these beauty gadgets safe for at-home amateurs, they have to be weaker, which means it will take longer to see results and the results most likely won’t be as dramatic as what you’d get from an in-office treatment. But that doesn’t mean they don’t have their place in a modern-day skincare regimen. 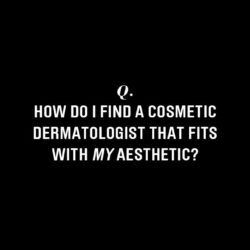 For starters, these devices can help maintain results that you’d get from cosmetic treatments, such as Clear + Brilliant, IPL, or a peel. Also, many devices operate with gentle vibration, giving your skin a boosting massage. The science behind LED acne treatments is that certain wavelengths of light—specifically blue light—are able to painlessly penetrate the layers of the skin and zap underlying acne-causing bacteria that gets trapped in your pores. Blue light therapy is recommended for the treatment of mild to moderate blemishes—not on cystic acne—and it won’t dry out your skin like some topical treatments. When shopping for an at-home LED acne treatment device, it’s important to look for one that has blue light wavelengths that are between 410 to 420 nanometers, which most effectively target acne bacteria. Higher wavelengths won’t be as effective. Here are four that fit the bill, plus a look at their more interesting features. This portable aluminium wand uses 24 100% blue LED lights (415 to 420 nanometer wavelengths) to target breakouts and blemishes. The device is sized to treat the contours of a woman’s face, but can really be used anywhere on the body (yes, we’re alluding to buttne and backne). To use, turn the device on, then place it gently against your skin. Move the device in slow, small, circular motions for four minutes in each of four treatment areas. You can also spot-treat a specific problem area anywhere on your body. Treat skin three to five times a week for optimal results. The more power a device has, the more energy it can transmit, potentially expediting results. The Tria Acne Clearing Blue Light has a custom light engine that claims to boost its 415 nanometer blue light bravado. It’s also fairly idiot-proof: the device tuns on when it makes contact with the skin (there’s no power button or menu) and turns off when you remove it, or when the two-and-a half minute session has finished. A contact sensor prevents it from operating unintentionally when it is not flush against the skin. To use, insert the treatment cartridge and touch the device to clean, bare skin. Glide it over your face, focusing on the acne-prone areas that concern you most (like the T-zone, chin, or jaw). It will beep every 30 seconds to indicate that you’re making progress, and after two-and-a-half minutes, the device will turn off. The total time you should treat a breakout in one day is five minutes, whether you do one five-minute session or two two-and-a-half-minute sessions morning and night. The portability of this little device has obvious appeal, and its tiny size is ideally designed for the spot treatment of a one-square-inch area. This mini rechargeable gadget combines blue LED light (414 nanometers) with sonic vibration and gentle warming, which helps to open up pores and expose more acne bacteria to get zapped by the blue light. To use, cleanse your skin, then turn the Zap Power on (you’ll hear a short beep). Lightly place the face of the device onto the affected area, at which point the treatment head will illuminate and vibrate—without skin contact, the device will not operate. Hold the Zap Power in place until two short audible beeps signal the end of a two-minute cycle and the device turns off. Treat the affected area for two minutes, three times a day until the blemish has cleared. Did you know that LED is good for anti-aging too? Plus, check out these incredible at-home cleansing brushes.